We will be closing early on Saturday, May 4th for our Party for the Planet Gala. We will close at 4pm and take our last admission at 3pm. As you explore the Discovery Loop boardwalk you may catch a glimpse of an armadillo or any number of other critters who inhabit the forest and marshes along the trail. We also have live animal displays, a bison viewing platform, and John P. McGovern Children's Discovery Area. 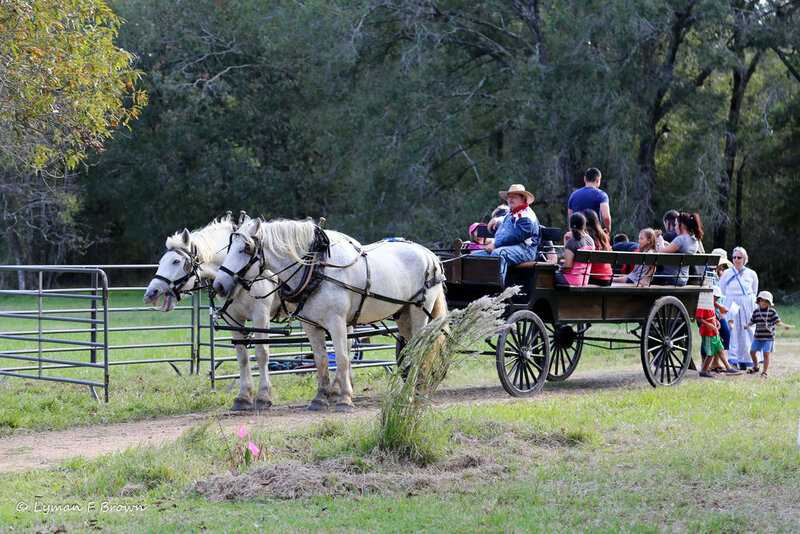 Your family will be transported back to pioneer times with a visit to our 1800's Farm Site. And don't miss Sundays in Nature. Or get outside your box and explore nature with our Family Activities. We offer over 5 miles of well maintained Hiking Trails for your enjoyment. Take advantage of a guided tour and register for a Preserve Watch Nature Tours. Make reservations to see the beauty of Armand Bayou on one of our Pontoon Cruises, or on a Guided Canoe Tour. Or register for a Night Hike, whether you join us for an Owl Prowl, Bat Hike or Firefly Friday, you will discover this magical place at dusk. You’re invited to Party for the Planet, Join us for Prairie Pandemonium when we restore the tallgrass prairies, a critical native habitat. Creepy Crawlers is a fun family night with Halloween themed games and activities. Our Christmas Bird Count is the largest avian census and a must do for any bird enthusiast. Don't miss ABNC's Annual Fall Festival when Martyn Farm comes to life. We also offer Special Member only events. Check out World Migratory Bird Day! Animals to see, trails to hike and fun to be had! Visit this astonishingly beautiful part of the Texas Gulf Coast and "reconnect with nature"
ABNC is the largest urban wilderness preserve in the U.S. with 2500 acres of the natural wetlands, forest, and prairies. We are home to over 370 species of birds, mammals, reptiles and amphibians. ARMAND BAYOU NATURE CENTER relies on YOU to assist in the preservation of this Hidden Treasure!